Michelle Triolo has lived in Anne Arundel County for the past 30 years and graduated from Severna Park High School. She relocated to San Diego, CA for a number of years to pursue her professional dance career as a performer, choreographer and instructor. It was in San Diego where she developed a passion for Real Estate and got her real estate license to begin helping Buyers and Sellers achieve their goals thru Real Estate. 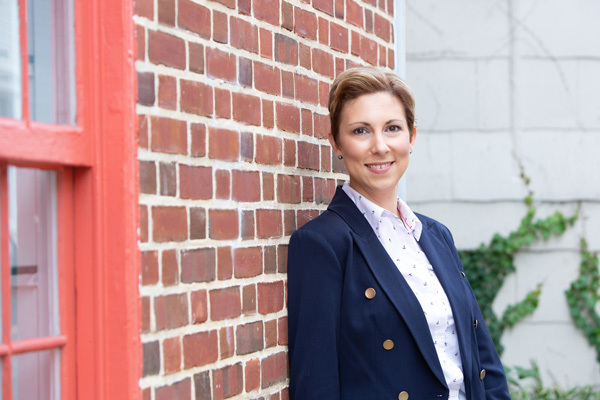 In 2004, family brought Michelle back to the Annapolis area where she continued her Real Estate career and is proud to be affiliated with Long & Foster Real Estate / Christie’s International Real Estate in Annapolis, MD. Michelle prides herself on providing top of the line service to all of her clients and she has built her business out of TRUST, LOYALTY, HONESTY and INTEGRITY. She enjoys helping people achieve the"American Dream" whether it's the first-time home buyer, seasoned buyer, investor, first-time home seller, or the savvy home seller. Her strong negotiation skills have helped numerous clients achieve the very best in their real estate transactions. Michelle has experience in both Buyer and Seller Markets and has worked with clients on a variety of properties from Condominiums to Townhomes to Single Family Homes to gorgeous Waterfront retreats! Her service areas include all of Anne Arundel County, Prince George's County (Bowie & Upper Marlboro), Baltimore City (Federal Hill, Locust Point, Canton, Fells Point), Queen Anne' County, and Howard County (Columbia/Ellicott City). Michelle has a Bachelor of Arts in Dance from James Madison University. She resides in Annapolis with her husband Matt, their son Evan, and their two rescue dogs. They are also proud Sponsor parents to two USNA Midshipmen (class of 2020)! Michelle practices yoga at Ruah Studio multiple times a week and she is also an avid animal lover and former volunteer at the Anne Arundel County SPCA.